29 March 2017 marks the day we turn 8! 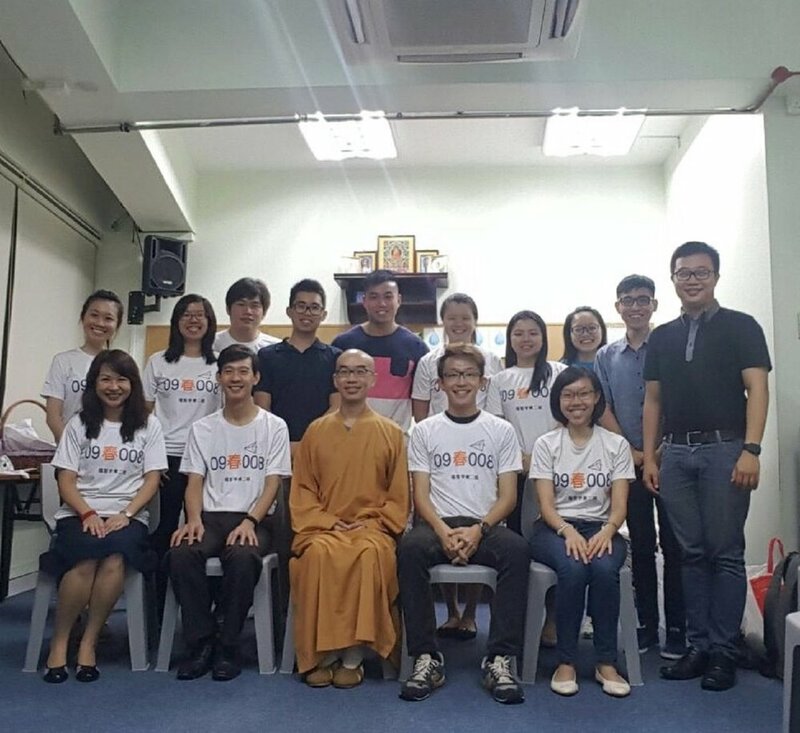 Class 16Z051Y which commenced on 29 March 2009, gathered together on 27 March 2017 – our weekly Monday evening class, to celebrate our 8th anniversary of learning together. We were really honored to have Venerable Bensi to join us in this joyous occasion. In his motivational discourse, Venerable Bensi mentioned that it seldom occurs to most people that one should learn the Dharma at a young age as most of us would only contemplate on the enjoyments of this lifetime. More often than not it is until much later at one’s life does he begin to realise that his life was somewhat empty despite those enjoyments. It gave him nothing more than just a memory as what Master Jih-Chang mentioned in his discourse. Venerable Bensi then concluded that we must have planted a really deep seed in our past lives to be able to come together as a class today and persevered through so many years of learning together. Hence, we should continue to strive for and be the core influence to mobilize more generations of youths to be part of BW Monastery. It was a moment of reminisces and recollections on how we had grown as a class and individually through our 8 years of learning. “8 years…that is even longer than the education phase, which we had gone through back then as a student — PSLE, and till date I’m still here with the class which is the longest period of time I have been to so far.” said Jun Yi. “This class is like an anchor to me…” said Yu Ling. Our new classmate Shao Heng said he likes this class and would love to continue learning with us. All these would not have been possible without the hard work, efforts and dedication of our class monitors, care coordinators as well as the strong bond of Class 16Z051Y! Besides learning the Wisdom from great teachers, we also get opportunities to volunteer and have fun like singing, drama, composing our own music, serving the community and learning new skills too. Tonight we get the opportunity to present our new song “Praising” to Venerable Bensi. As youths, we make it a point to attend this class to recharge ourselves, learn ways to overcome challenges in life and be courageous to fight against any difficulty one is facing. The strong bonding is the most important factor to help us develop our mind and change our thoughts. This MIND GYM is the place where we always know where to go for comfort. We hope more friends will join us!